Making the transition from crib to bed can be an exciting journey, but perhaps one that has a lot of “unknowns.” Today, I want to give you my top recommendations so that the transition to the new bed is a smooth and successful one for everyone! 1) Identify if your child is ready to transition: there is no exact age when a child should be put into a regular bed. Typically, I recommend parents wait until their child is around 3 years old. That may sound old, but it’s for good reason. At this age, kids have a better understanding of the rules and boundaries and hopefully your child’s sleep skills are good. – Is my child well rested? – Is my child sleeping through the night? – Is my child independent going to sleep (not reliant on you in any way)? – Is my child old enough (at least 3 years old)? – Does my child have a solid routine leading up to bedtime? If you answered yes to all the above questions, then you’re good to go! If not, then there might be some things to work on first before making the transition. If your child relies on you in any way to get to sleep (feeding, rocking, cradling, patting, etc. ), and they have a hard time getting back to sleep without it, wait to transition. I’ve seen far too many times parents make the switch to the bed too quickly thinking it would solve the bedtime woes. In reality, it just makes things worse. Your kid can leave their bed and room much more easily now! My recommendation would be to get your little one sleeping more independently and sleeping well before making the switch. 2) Prepare your child for the switch: In all my years of working with kids, I can tell you one thing: they do not do well with surprises! It’s important that before making this move from the crib, they should know that they’re going to be getting a new bed, when it’s going to happen (put a date on the calendar! ), and let them know the day the switch happens. Toddlers and kids do great when they know exactly what to expect – they look to you for this security! Make sure to do this in a positive way, but don’t go overboard either – you don’t want to put a lot of pressure on your child’s shoulders, either. I also recommend making your child a part of the new bed experience – let them chose the sheets, new pillow, and maybe even the new bed. This allows them to associate those things as truly theirs – they have ownership of it and know what those things are! 3) Make sure your child’s room is set up for a great night’s rest: this step is key – don’t change too much! Put your child’s bed exactly where the crib was, and keep everything else the way it is. You might want to double check that the room is nice and dark and cool, too. This makes going to sleep a bit easier. – Your child stayed in bed, loved their bed, and it was business as usual. Woo hoo! – First couple weeks or so went great, and then not so great. Your little one is now getting out of bed a lot, making visits to mommy and daddy, playing with toys, etc. – Your child did the activities in the second point right away from Night 1. If your child has been “toeing the line” since making the switch, it’s your job to make sure that the boundary is set, and you are consistent in implementing this. And, your child will certainly push that boundary (ask for water, come visit, etc. ), but it’s your job to stay super, super consistent. As soon as there is wiggle room, the boundary is broken. If your child is doing anything but lying in bed quietly, it’s important to give them a warning when they’re doing something they shouldn’t. If they break the rule, then this needs to be followed up with a consequence. Not sure what that might be? Generally, I find that closing the door “all the way” or taking away the bedtime cuddle toy briefly is enough of a consequence that your child will make the good decision and stay in bed. It’s also not too harsh that your little one will have a complete fit. And it’s simple – anytime they don’t follow the rules, they receive a consequence.  Need help getting your toddler sleeping great and on their own? Or, have you made the transition to the “big kid” bed and need guidance? Contact me to get your questions answered!